Tiny House Communities: What Are They and How Can You Join One? Life has become far too complicated and cluttered for many. More individuals every day are considering something new to simplify life while still focusing on comfort and self-care. People often make the mistake of thinking minimalizing life means giving up all comforts, but that doesn't have to be the case. The innovation of tiny house communities has created something indulgent yet green and economically (as well as environmentally) friendly. You not only pamper yourself by reduced bills, more flexibility, and freedom, but you conserve energy and help the planet in the process. 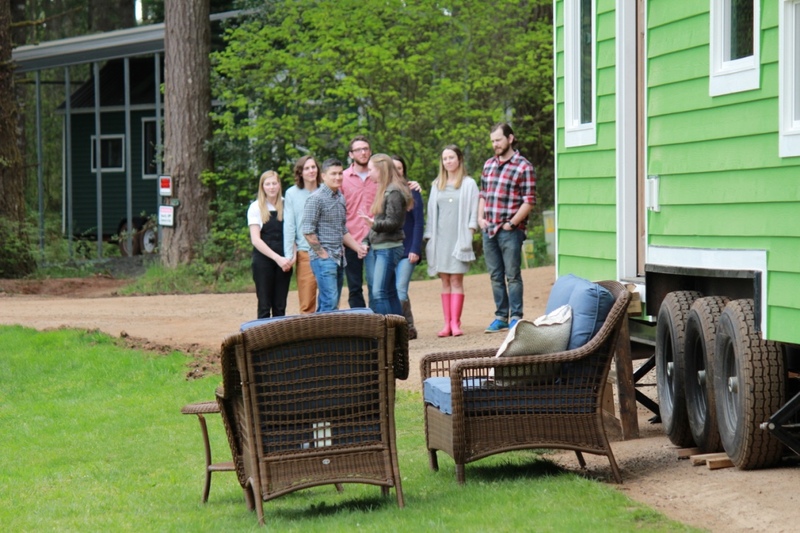 What are Tiny House Communities? Tiny house communities are popping up across Oregon, California, Colorado, throughout many other states, and around the world. In fact, there were more than 10,000 tiny house owners living in homes of around 400 to 700 square feet through 2016 and the movement continues to gain popularity as we enter the year ahead. As these portable and efficient homes gain interest and are better designed, more people are seeing them as a viable option. Owners are networking to develop exciting communities where they can have the minimalist lifestyle and benefits of tiny house living while still being able to establish a homestead. While most of these tiny house communities are small right now, they are growing in size and frequency. There are many benefits that outweigh the restriction of space. The only reason tiny houses seem so small is that the average size of houses has doubled over the past 50 years to over 2600 square feet of often unneeded space. What you lose in space, you make up for in savings. Many of your monthly bills will be a fraction of what you pay in a traditional dwelling. Utilities, taxes, mortgage, and more add to your savings. If you want to be environmentally friendly and go off the grid, this is a great way to do it. Most tiny houses can be constructed to be off the grid with solar panels, reusable energy, collectible rainwater and more. A mortgage doesn't have to be hanging over your head for the next 30 years. These are an economical option to own your own house without the financial burden of hundreds of thousands of dollars. However, financing options are available if needed! Tiny house communities allow you to set up your tiny house and lease the land. This saves you in property taxes, better mortgages, and less overall expenses. A tiny house gives you the flexibility to move your house without having to pack up and deal with real estate agents. You can have the freedom to change locations when you want with much greater ease than a traditional home. You also have the freedom of expression through various awesome designs of tiny houses. You aren't limited by the houses already built within your price range. You can put more character and functionality into your home because they are usually built to your taste. You can choose the home design you want and then figure out what community fits into your lifestyle and needs the best. Tiny house communities may be full of small houses but they are making a big change in the way many are living. To learn more about tiny houses and downsizing your life, check out our blog or contact us today.